The story itself has been in the making for nearly a decade. Frank Millers Holy Terror started out as one of the most controversial Batman stories ever published. The idea behind it was if Daredevil and Captain America punched Hitler why couldn’t Batman take out some modern day terrorists. In theory it was a concept that was super exciting for Bat-Fans world wide but DC wasn’t keen on using Batman to battle real criminals. This was a major loss for DC as Frank Miller has now finished his story and will publish it with Legendary Comics in September. Frank Miller’s Holy Terror – coming September. This could be one of the greatest Batman stories ever told and he’s not even in it. 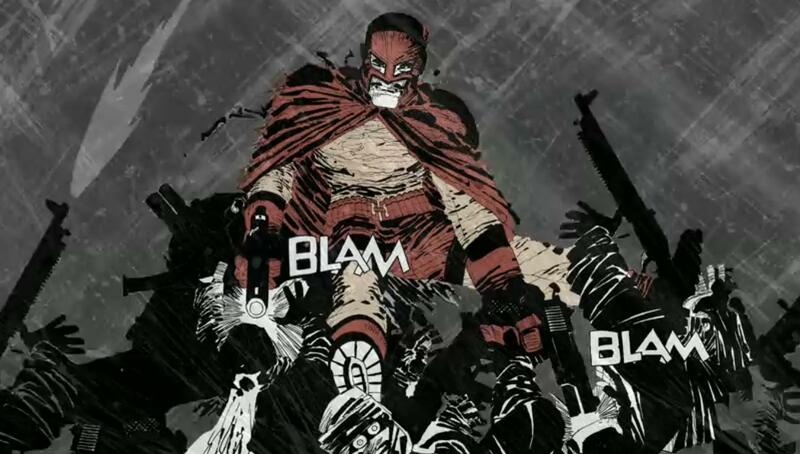 By watching the trailer you can see the influence of the All-Star Batman covers by Frank Miller.